In this article I want to recognize how Indigenous students in academia are showing a great deal of resilience by continuing the path of education and utilizing it as a tool for healing and resistance. How do we create a safe space within institutions for Indigenous students? Well, let’s first consider why we do this. 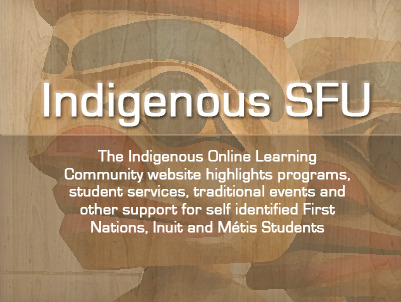 It’s not for special treatment or by any means favoritism, by creating space for Indigenous students especially at our “engaged” university of SFU we should look at: Land Acknowledgements, Safe & Open Dialogue, and Course Content. Land Acknowledgements hold a significant amount of importance for Indigenous students within an academic setting, first it allows the student to know that they are being affirmed and recognized by their professor and peers. Secondly, the acknowledgement is more than empty words, it is opening that space to allow for recognition of the Unceded Traditional Coast Salish territories that we reside on and can be a source of dialogue that holds importance within colonialist institutions. When a land acknowledgement is done it creates a degree of safety that sets precedents for Indigenous Students and our peers but also is a form of decolonizing space. Safe & Open Dialogue about Indigenous topics is one thing that needs to be more culturally sensitive. We need to take into account the students and the content that is being shared. We must acknowledge autonomy for Indigenous Students in an academic setting, we are not in your classes to teach them and we are not able to speak on behalf of every Indigenous community. We have the discretion to not be a part of the conversation as well, as we should not be a resource for inappropriate questions. It should be stated that it is the professor's responsibility to direct the conversation as well as to recognize and protect the Indigenous students in their classroom if there is inappropriate dialogue, especially if it is harsh content that can bring up issues around trauma. As an Indigenous student I have felt triggered in a classroom setting not only by my professor but my peers, this is mainly because the conversation has been derailed to the point of bringing up stereotypes and other issues that I have not emotionally prepared myself for. This is an important conversation to create since Indigenous Students should not be victimized in the classroom setting. My advice for you is to do research if you do not know something. There are many Indigenous authors and resources that I can direct you to and this way it is not at my expense why I have to explain to you - again - that residential schools are bad. Course Content ties into safe dialogue, taking into account appropriate content already does half the work, this can also combat racism and stereotypes. Having a minor in First Nation Studies and building rapport with professors in the FNST department I can confidently say that, with the amount of academic articles and books that are available and authored by Indigenous people, there should be no reason for not applying these to courses. Another aspect of this can be bringing in more positive content. Yes, residential schools happened, and Indigenous people are over represented in the justice and child welfare systems but maybe at some point we need to recognize what Indigenous people are doing to help these issues. Indigenous pedagogy can be intertwined into many courses and through many departments so that we can work towards introducing these subjects into classrooms. Also, bringing up Indigenous people in academia and maybe sometimes recognizing that you are not the most appropriate person to be talking about how the education system affects Indigenous people. Land Acknowledgements, Safe Open Dialogue, and Course Content are a few of the many things that can be recognized and can help support Indigenous students around you. It is by societal norms that we must be educated to be successful, yet this institution systematically creates barriers for Indigenous people especially within education. Let’s recognize the resilience of our Indigenous students and how we can work towards a common goal of learning through an Indigenous lens, because this can benefit You and Me. Matthew Provost is Blackfoot from the Piikani Nation. He is in his Undergrad studying Communications with a minor in First Nation Studies. Matthew is very involved in his community at SFU, he is a Council Member for the First Nation Student Association, and a curator for the Indigenous OLC. Matthew spends a lot with his time drumming with his group BYOD (Bring Your Own Drumstick), or finding ways to create community while drinking Red Bull.